Serious grilling can sometimes lead to the occasional oil slick. Preserve your expensive decks, balconies, and patio surfaces in style with our stain-resistant, rubberized grill pad. 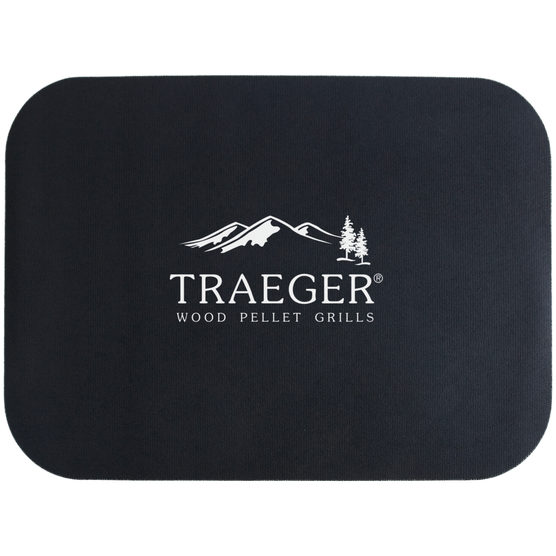 Made specifically to fit Traeger Residential Models, the large, 32 by 40 inch surface area provides superior protection against grease, drips, scuffs, stains and saucy spills. Barbecue is not for the faint of heart. From sauce splashes to drips and drops, when it comes ot porch protection, it’s better safe than sorry. Mark your grill’s parking spot on the patio with a Traeger Grill Pad.